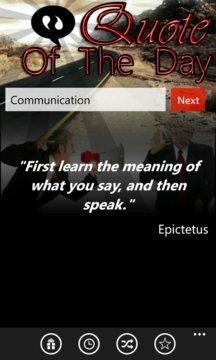 If you enjoy the idea of getting impactful and inspiring quotes from a wide variety of well-known authors and categories, straight to your phone, then "Quote Of The Day" is the right application for you. 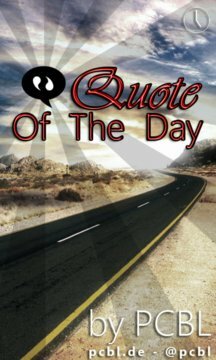 With features like "Daily Quote","Random Quote"(Out of a set of categories) you will get inspired on your day-by-day life. Features like live tile makes the application experience even better. Last, but not least, take advantage of the possibilities to share powerful quotes among your friends on your prefered social networks.